Come worship with us during Holy Week. See our different activities. 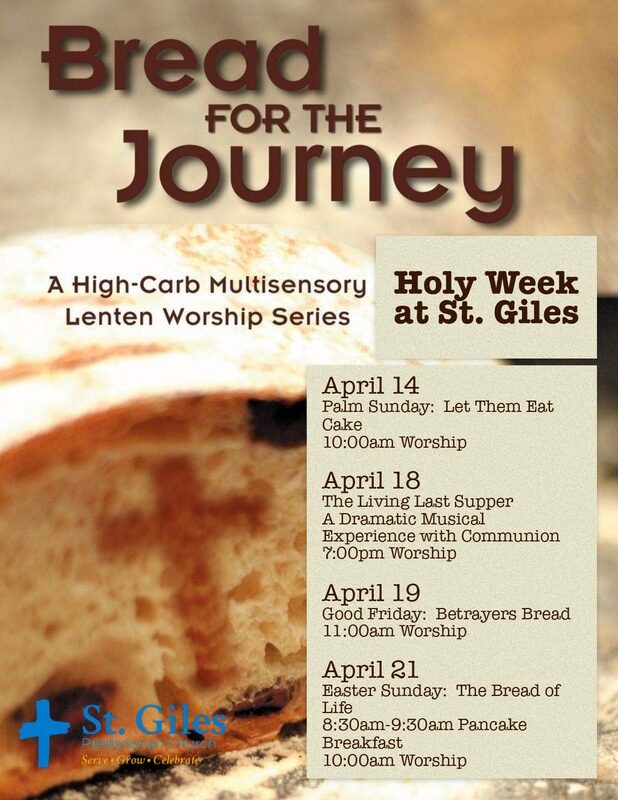 Our theme is Bread for the Journey – a High-Carb Multisensory Lenten Worship Series. Contact us at 905-934-1901 or stgiles1954@gmail.com for more information.